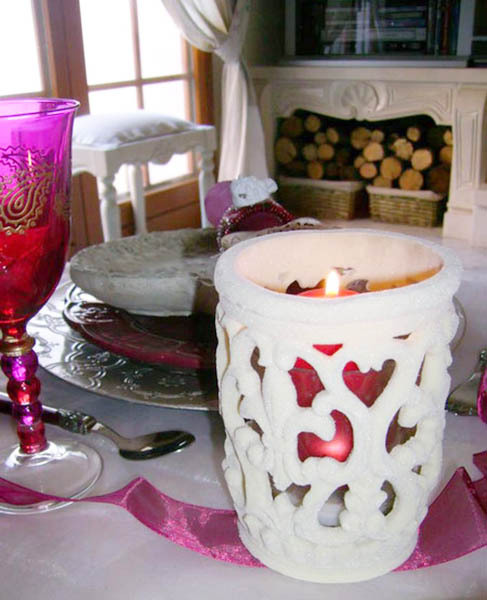 Valentines Day table decorating ideas from a professional French decorator are simple, elegant and inspiring, and may help you find a unique way to create the right ambiance. 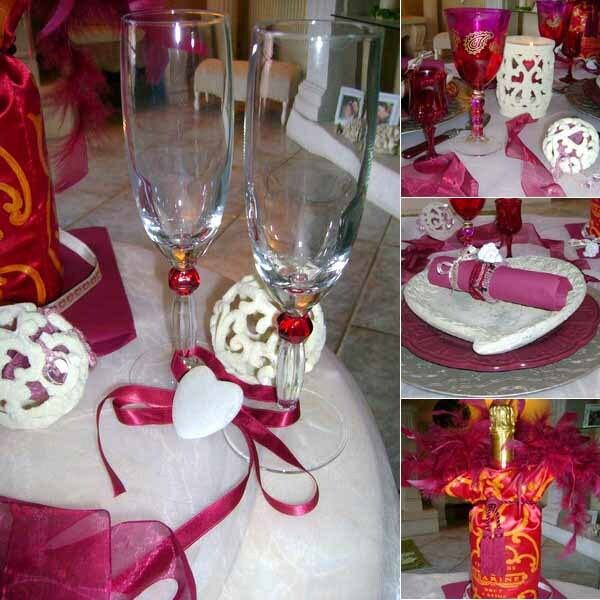 Detailed photographs show how to use white and pink colors and soft and rich color tone combinations for Valentines Day table decorating. Light and rich pink colors, combined with golden and soft white tones look tender and romantic, creating feminine and warm table decor and ideal atmosphere for enjoyable dinner. 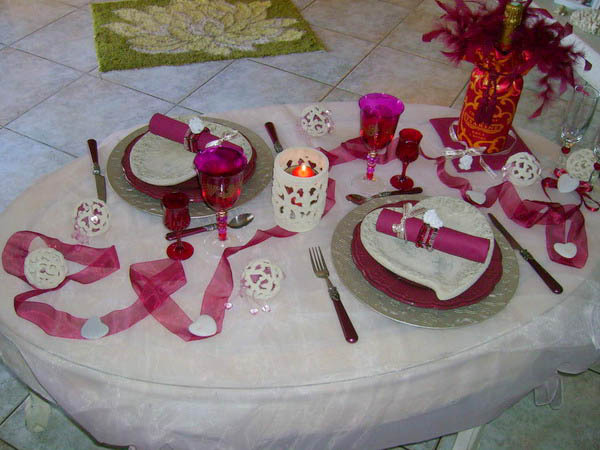 Simple and inexpensive, bright and impressive, these Valentines Day ideas are worth to try, adding charming accents to your home, creating romantic mood and inviting more love into your life.